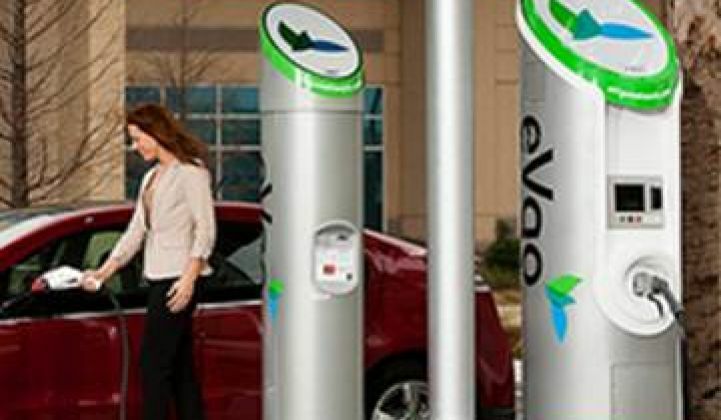 A $9 million investment in advanced BEV charging technology and BEV car sharing programs. 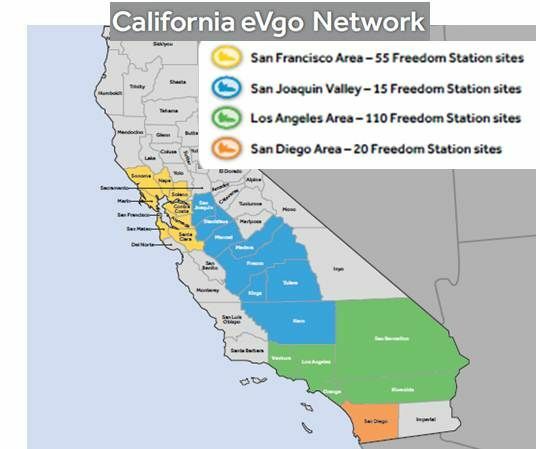 The eVgo Freedom Stations’ level-three DC fast chargers, each capable of putting a 50 percent charge on a fully electric vehicle in fifteen minutes, will constitute the U.S.’ biggest fast-charger network. 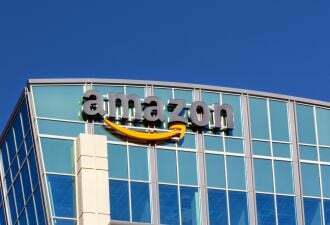 The focus of the effort will be in the areas of Los Angeles (110 stations), San Francisco (55), San Joaquin Valley (15) and San Diego County (20), where BEV interest is expected to be highest. NRG Energy will locate at least 20 percent of them in urban areas where they will be more accessible to low- and moderate income groups. Many noted that a widespread and readily available network of chargers could significantly ease the range anxiety that is a barrier to greater electric vehicle adoption. The stations will be owned and operated by NRG Energy and be much like the AeroVironment-built stations in NRG’s Houston charger network. They will be credit- and debit-card accessible. Plug-in vehicle drivers will have both pay-as-you-go and subscription access. Pay-as-you-go prices will be no more than $15 per charge during peak demand periods and $10 per charge during off-peak hours. 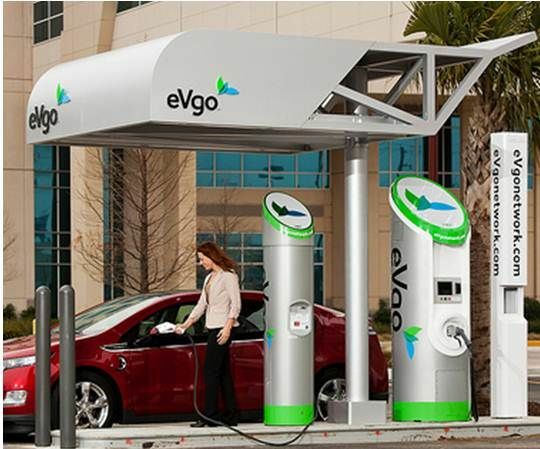 The make-ready sites will be owned by the property owner and distributed in the same proportion as the eVgo Freedom Stations. Each must be in an investor-owned utility’s service territory; 35 percent must be at multi-family locations, 15 percent at workplaces, 10 percent at public interest sites like a school, a university or a hospital. Preparing these sites’ electrical panels, transformers and wiring for charging infrastructure, said NRG Energy’s Arun Banskota, will pave the way for the 60 percent of the public that does not live in single-family homes that are readily amenable to the addition of charging infrastructure. Eighteen months after installation, all charger infrastructure providers will have complete access to the make-readies. This is one of the more controversial elements of the plan, because it limits competition early on. Banskota noted that the $9 million investment in BEV development programs will move the technology forward and expose more people to it. A total of $5 million will go to develop battery storage for peak demand periods, very high power charging capability, or for vehicle-to-grid pilot programs. The other $4 million will go to EV car sharing programs and job training programs in the charger infrastructure field. For the entire undertaking, NRG Energy has agreed to hire local workers for the construction and for operations and maintenance. It has also agreed to comply with California programs that emphasize attention and preference to women-owned, disabled veteran-owned and minority-owned businesses. The first year of the undertaking, Banskota said, is likely see slow progress due to issues like permitting and distribution system interconnections. By year two, he said, there will be a ramp-up. The company expects to complete 20 percent of the Freedom Stations in year one, 30 percent in each of the next two years, and the final 20 percent in the last year. There will be an application process for the selection of the sites, Banskota said. It has not yet been determined. Vendors will be selected through a competitive bidding process, following an NRG request for proposals. All vendors will be required to build to CHAdeMo and SAE standards. Banskota noted that the final settlement arrangement between NRG and the CPUC must still be approved by the Federal Energy Regulatory Commission. 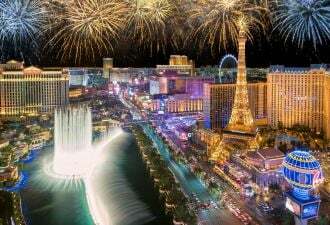 Likely to be little more than a formality, that approval is expected by late summer.